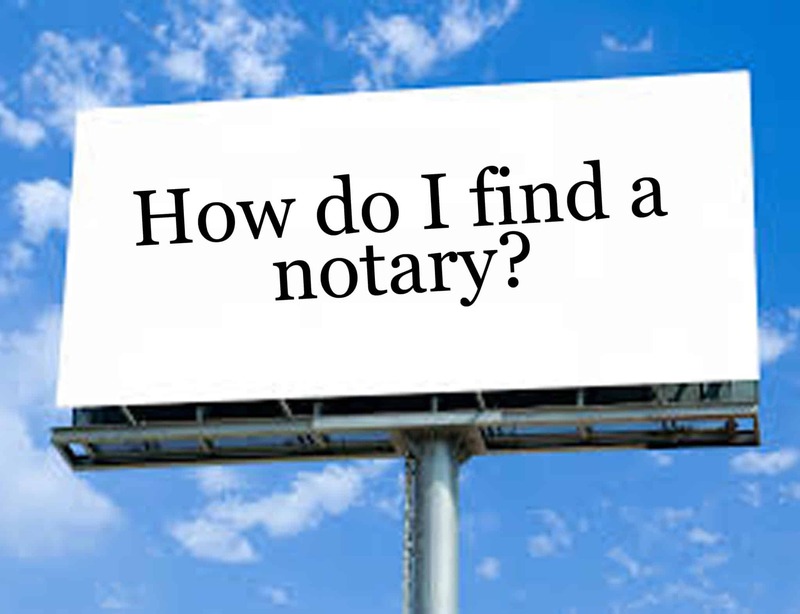 Finding a Notary Public can be a difficult or simple task, it depends on how you approach it. Before I was a Notary Public, I had to search for a mobile Notary Public to notarize one document for me. I knew nothing about notaries, and definitely did not know that they would travel to you. I ended up paying a large amount for someone who was actually based in my neighborhood, and this was due to just searching “mobile notary public in San Diego” or “notary public near me” and just clicking on the first listing I saw on Google pages. She was a very pleasant woman, and the experience was simple and convenient, but I did not realize there were so many Notary Publics out there, and all offering different rates. When a client asks me about pricing and how a mobile Notary Public works, I always advise them of my pricing and fees, however I also advise them that shopping around to find a Notary Public is ok! Sometimes clients call us but they are located very far from us to where the overall cost is more than if they were to call local San Diego County notaries that are nearest their location. Sometimes they call back because they were not cheaper, and sometimes they call back to let us know they found someone else who was closer and able to assist them. A good policy when shopping around for San Diego mobile Notary public service is to Google, Yelp, and try to see where the Notary Public is based out of, and if they are nearest you, it is likely to be cheaper than if they were a company based further away. Our mobile notary fees in San Diego County are pretty simple and based on a range of miles from where we are located. So for people who utilize all of the signatures, the mobile fee can actually be cheaper than going to a Fedex ($10 per signature). We understand that customers are looking for value, affordability, while also comparison shopping to save money. We will provide you with upfront pricing and are more than happy to hold your appointment time while you shop around to ensure that we are the best value for you. The difference with us is that you get an affordable price, with the customer service of a expensive mobile Notary Public company. We do not believe that price is connected to service in our industry. Mobile Notary Public services do not rely on outside services that would raise costs and indicate that if its cheaper its less quality, they only rely on accuracy, and customer service, which does not change whether your spending $10.00 or $300.00. We uphold 5 star customer service(according to our customers on Yelp and client testimonials), while saving you money, and providing you with the convenience of a friendly mobile Notary Public. The next time you need a Notary Public, give us a call and we would be glad to provide you a price breakdown for your specific area, and amount of signatures to be notarized, and provide you with the 5 star service our clients have come to expect.